Machame approaches from the southwest and descends using Mweka, rewarding climbers with views of the expansive Shira Plateau, an optional scramble up Lava Tower, a climb up the Great Barranco Wall, and a traverse underneath Kilimanjaro’s Southern Icefield. The descent occurs on the Mweka route. Climbers sleep in supplied tents at designated campsites, and eat meals either outdoors or inside a large dining tent. Staff prepares all meals and sets up the tents. The Machame route is scenically beautiful and varied. Compared to Marangu, the days on Machame are longer and the walks are steeper. It is considered a difficult route, better suited for more adventurous folks, and those with some hiking or backpacking experience. 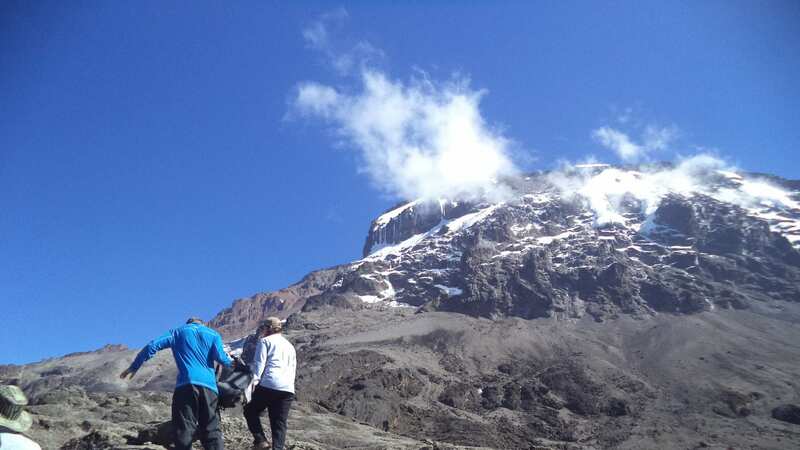 Machame is offered as a seven day group climb, or a six to seven day private climb. The six day variation combines days 4 and 5, going from Barranco Camp to Barafu Camp without staying at Karanga.